Outstanding service for all your real estate needs. Our team connects you with the right service and the right people to exceed expectations, every time. We offer flexible service options. 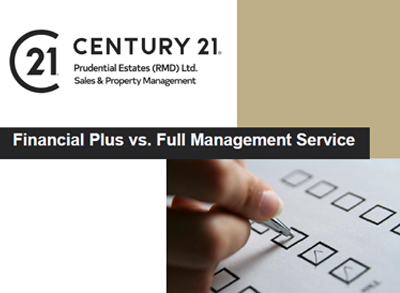 Discover why over 100 Strata Corporations have chosen Century 21 as their Property Management company and let our knowledge and experience work for you! Are you too busy to be a landlord? Have one of our professional Rental Managers provide you with our full service rental property management program. Century 21 is a global real estate company. Let our brand power and local expertise work for you! Contact one of our Realtors and ask what advantages Century 21 has to offer when selling or buying a home. Discover the rental you’ve been searching for. 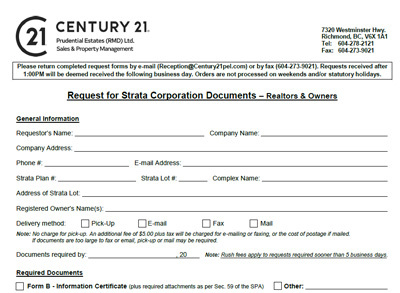 Download our most popular strata documents here. Looking for a professional property management company? 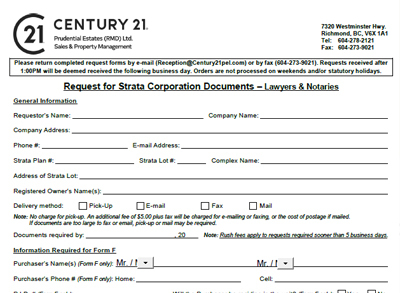 Fill out the following form and be one step closer to curing your property management headaches.